We estimate this scroll was drawn over 20 years ago. It is rather long scroll. 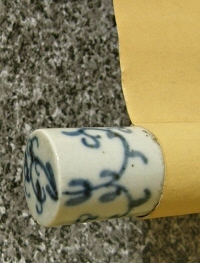 There are some small tears, spots and folds on the mounting part. 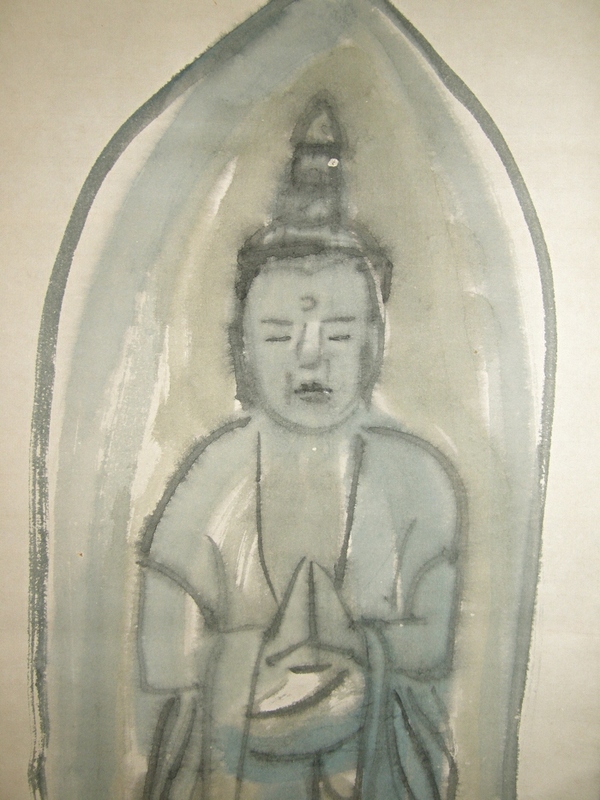 The Stony Buddha (Jizo) is drawn well. 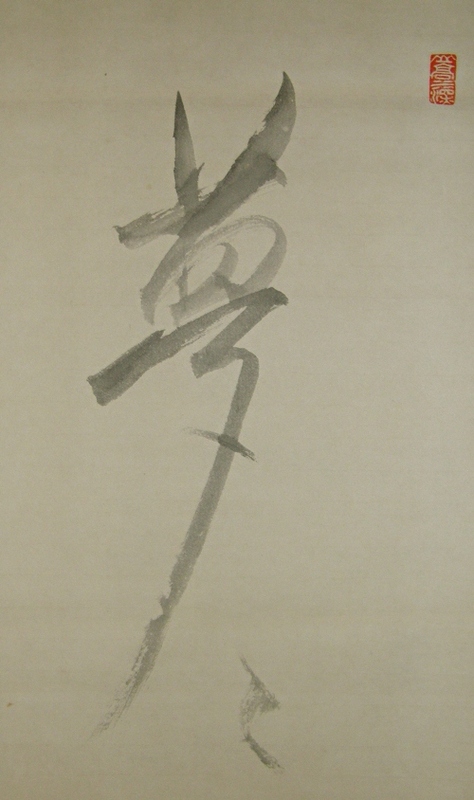 A Kanji character which means "dream" is also drawn at the top.